The Gustavus Jazz Lab Band, directed by Steve Wright, returns from its annual spring concert tour this week to present its Home Concert in Jussi Björling Recital Hall at 7:30 p.m., Saturday, April 14. This concert is the jazz ensemble’s final performance of the year and is free and open to the public. The jazz band’s home concert performance follows a week of concerts and clinics in the Midwest, including concert stops in Hastings, Annandale, Fergus Falls, Fargo, Bismarck and Annandale. One of the oldest jazz programs in the state, the Gustavus Jazz Lab Band presents a wide variety of jazz standards along with works of the finest of today’s jazz composers. The band has appeared on A Prairie Home Companion, the KBEM Jazz Festival, competes frequently at the Eau Claire and Lamberton Jazz Festivals and has worked with such great jazz musicians and composers as Marvin Stamm, Ulf Johannsen Werre, Christian Lindberg, Allen Vizzutti, Frank Mantooth, the Hornheads and others. This year’s program includes jazz standards like Jerome Kern’s The Way You Look Tonight, Sammy Nestico’s Hava Nice Day and George Gershwin’s Fascinating Rhythm. It also includes Latin rhythms of Alan Baylock in Livin’ Larger Than Life and Steve Wright’s Empathy, along with Jerome Richardson’s Groove Merchant, the premiere of Steve Wright’s trombone feature, Slip ‘n’ Slide, and Arthur Altman’s All or Nothing at All. 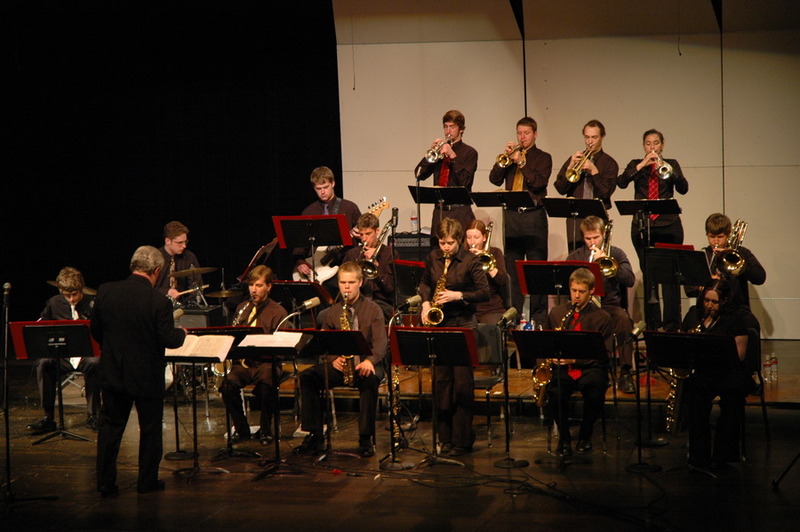 In addition to works performed by the entire ensemble, the Gustavus Jazz Quartet (Matt Bergman, saxophone; Phil Sowden, piano; Eric Miller, bass and Josh Wahlstrom, drums) will present works they performed as guest artists at the annual Moorhead/Fargo Tri-College Jazz Combo Festival while on tour. 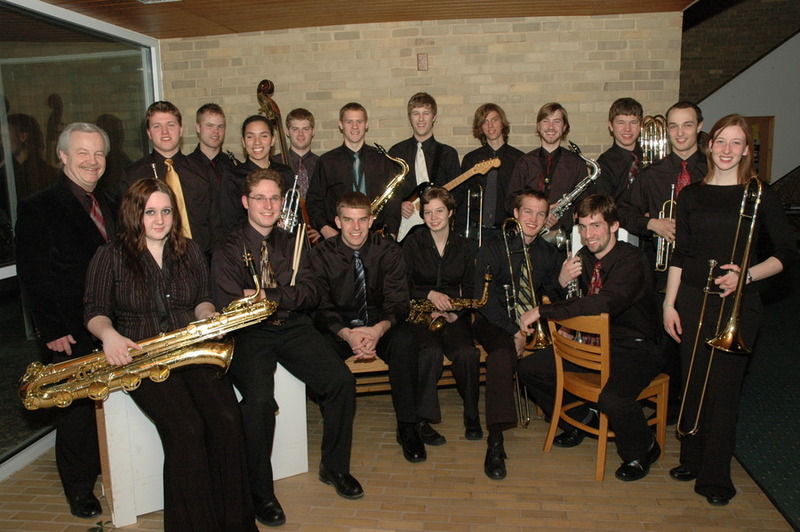 Saturday’s jazz home concert by the Gustavus Jazz Lab Band is free and open to the public.